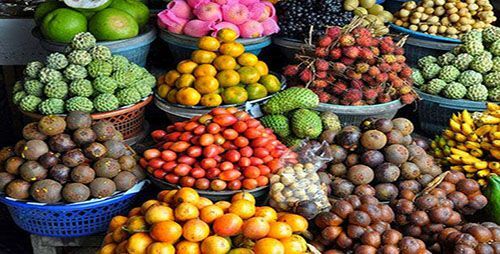 Tourist attractions in Bedugul Bali Indonesia, the interesting and popular places to visit in Bedugul Bali, best things to do in Bedugul Indonesia. Bedugul also facilitated with adequate accommodation such as villas, restaurants, hotels and water sports activities such as canoeing, water skiing, parasailing. 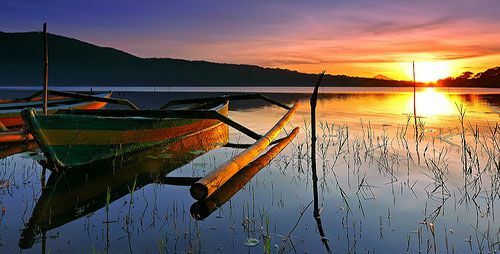 It's located at an altitude ± 1240 m above sea level, the temperature in Bedugul area at night time ± 18° c and at daytime ± 24° c.
Lake Bratan which is located in Bedugul is the second largest lake after lake Batur on Bali island, Beratan lake is very important as a main source of irrigation in central Bali. It has an area of about 375.6 hectares with an average depth of 22-48 m with an area of ​​about 12 km around. Beratan Lake is found at an altitude ± 1240 m above sea level, the climate in the location of Lake Bratan location (Bedugul Region) at night time ± 18° C and at daytime ± 24° C.
Ulun Danu Beratan temple is located at the edge of Beratan lake, Pura Ulun Danu built in the early 17th century, serves to adore the majesty of God in order to invoke the grace of fertility, prosperity, human well-being and for sustainability of the universe. Ulun Danu Bratan temple is one among the best widely known Balinese Hindu temples and the most photographed places of interest on the island of Bali, Indonesia. 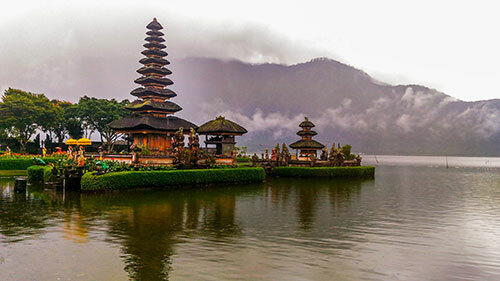 Ulun Danu Beratan Temple is commonly referred to as Balinese temple by the lake or Bali temple on the water mainly because it seems to be like floating on the water at any time the water level in the Bedugul Lake Beratan is increasing. Bedugul Botanical Garden is unique in Bali as a place for botanical research, conservation, education, and recreation. More than 2000 species of plants are preserved at Bali Botanic Garden, It provides a place where we can relax in beautiful and peaceful surroundings while learning about the use of plants in the daily lives of Balinese people as well as many interesting tropical rainforest plants and birdlife. Bali Botanic Garden (Indonesian: Kebun Raya Bali) is a huge tropical botanic park in Bali set in Bedugul area, Candikuning Village, Baturiti District, Tabanan Regency, in the foremost highland of the isaland of Bali approximately 56 km from Denpasar City. 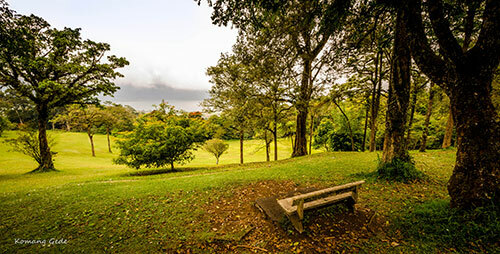 Bali Botanical Garden Bedugul was previously termed as Eka Karya Botanical Garden, is positioned at an altitude of 1250-1450 above sea level, with a section of 157.5 hectares. Find the cocation and map of Bedugul Bali Indonesia in Google Maps.